Automakers love to tease new models well ahead of their public debuts in order to build up hype, but BMW is taking that to a new extreme. 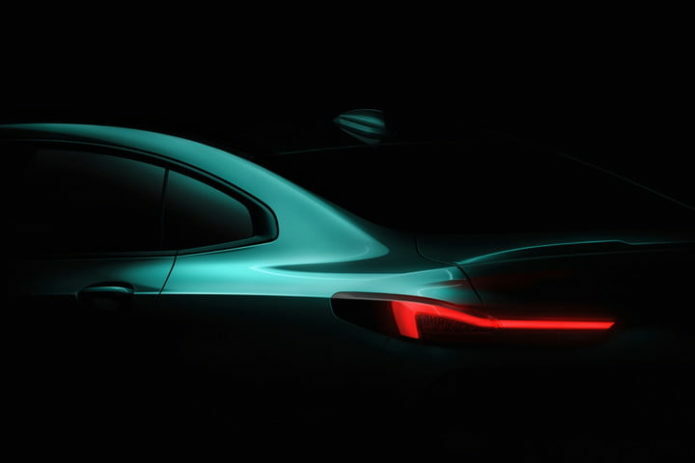 We now have our first tease of the upcoming BMW 2 Series Gran Coupe, but the car won’t be fully revealed until the 2019 Los Angeles Auto Show in November. Set to go on sale in spring 2020, the four-door Gran Coupe will mark a major change for BMW’s pint-sized 2 Series.